Dear sweet Jovus, we thank you for the gift of Thrill-power and for James Newell- the provider of todays thrill. Ladies and Gentlemen! Step right up for the astounding tale of prestidigitation and intrigue that is OUT OF TIME by Christopher Sides and Simon Bennett-Hayes. Be amazed, be delighted, but most of all be WARNED. On sale soon in the pages of FutureQuake. Thrill-power alert! 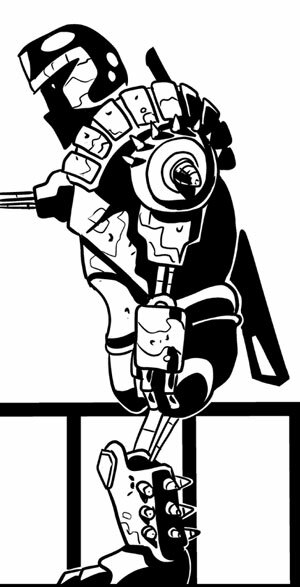 Coming soon to the pages of Zarjaz- CURSED EARTH PATROL is a text story featuring Judge Rico by Richmond Clements with illustrations provided by the one and only Jake Lynch. Take care readers, this one turns the dial all the way. 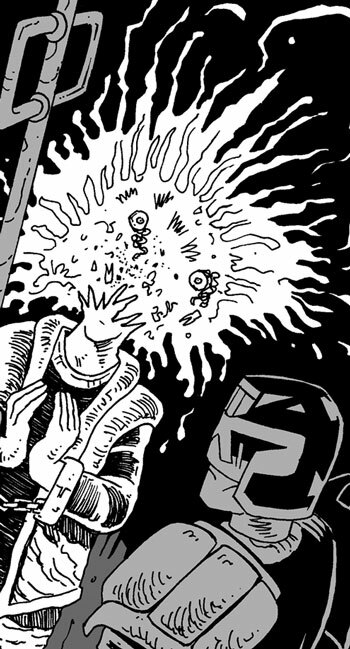 Continuing from the strip in Zarjaz 18, BABY JAYS will return for a full 18 page strip in Zarjaz 19. 18 pages – that’s a lot of the comic to commit, and once you read it you will see why we thought it deserved the space. BABY JAYS is brought to you by Alistair Mclean, Richard Swabey and the artistic might of David Broughton. 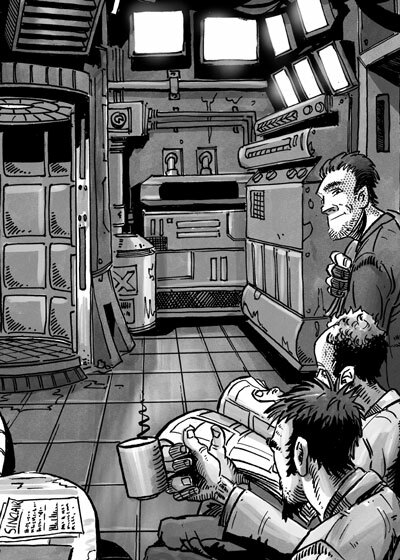 Coming soon to FutureQuake- PERKS OF THE JOB By Rob Lefebvre and Dan Cornwell. FQP Artist up for an award! NEWS has reached us here at FQP towers that Bryan Coyle, the astoundingly talented artist of the GN Babble is up for an awad over in the US of A! I’m sure all of you out there wish him well in the results! The cover of MangaQuake 2.1, provided at ‘very’ short notice by Bryan after ‘that’ incident. Bryan is one of the artists who has been with us pretty much since the beginning and I can’t think of a more professional contributor or who may deserve this more. Babble- by Lee Robson and Bryan. One of my highlights of recent reading. 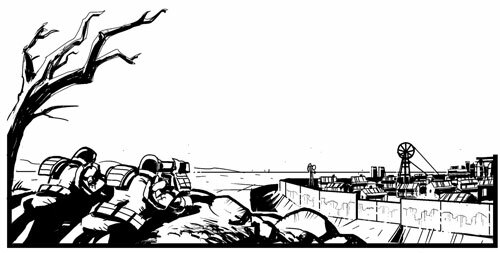 Coming soon to the pages of Zarjaz, MECHANISMO by Derek Hamill and Mike Bunt. 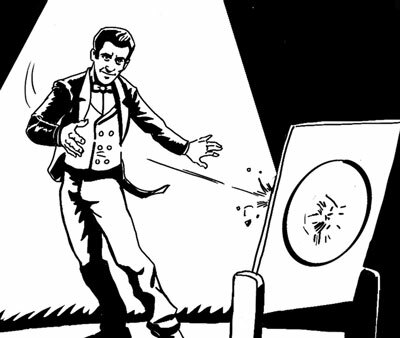 I would love to show you the rest of this panel, but it is far too spoilery.